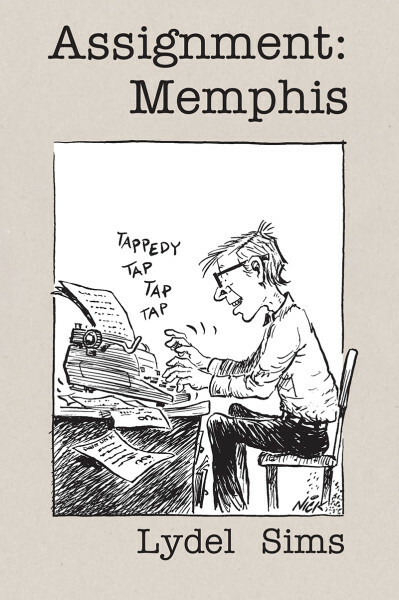 Assignment: Memphis is the first collection of 150 columns by Mid-South humorist Lydel Sims from his popular and entertaining weekly column in The Commercial Appeal. Featuring a new Preface by Pat Sims; Introduction by William Thomas; and cartoons by Charles Nicholas that originally appeared with Sims’ columns. In 1949 Sims began writing his column, "Assignment: Memphis," in which he made fun of “the things that make the rest of us scream.” Fascinated with language and life’s idiosyncrasies, he explored topics such as “Brainwashing Removes the Worry” and “Clothes Encounter of the Worst Kind.” Historian Shelby Foote writes, “I began each day with Lydel Sims in The Commercial Appeal. For those who have not known him up to now, this book is a splendid way to them to begin the rest of their lives.” 274 pages, trade paper, ISBN 9780916242817, $29.95.